Of course, pâté wasn’t our only mutual shared love because my Goong-Goong loved food. Every visit to Hong Kong would begin at the apartment he shared with his sister, the brown teapot covered by a tea cosy, the little fridge in the corner filled with soft drinks for my brother and I, cookies taken from the same tin in the side-cupboard, the TV blaring out a news channel. Every year the TV got a little louder and the biscuits a little more stale, but the fresh cakes and sweets my Goong-Goong bought for our visit were filled with cream and covered in chocolate and fruit. When he visited us in London it was the same: the day before his arrival we would descend upon Marks & Spencer’s, buying cream puffs, eclairs, scones, jam, clotted cream and, of course, crusty bread and pâté. One time when my Goong-Goong visited us in Hong Kong, we went out for a very special dinner along the Thames, right next to London Bridge. I don’t remember how old I was but my parents always let us order our own food from a young age. I studied the menu and decided right there and then that I was going to have the lobster. My Goong-Goong was a) shocked that I was allowed to order my own food and that b) I would order the most expensive item on the menu… but I think he was also secretly proud of me. When my mother was a girl my Goong-Goong was always the one who ordered for the family, he would order a few dishes and they’d all share, swopping plates every now and then. Of course this meant that even if you really liked the dish you were currently eating you couldn’t eat the whole thing, and with two brothers my mother was constantly fighting for her food. On the other hand I never had to share any of my food and it would drive me crazy the way that my Goong-Goong would dig his fork into my plate and eat the best bit, without even asking. I learnt to adopt a defensive one-armed shield, shovelling the food down my throat as fast as possible. I think much of the beauty about food is the memory that comes with it. Ask anyone what their favourite dish is and it’ll come with a story, a smile, a fond remembrance. When I was making this pâté at first I felt an incredible sense of achievement – I never thought I’d be able to make something I loved with so much ease – but then I started thinking about the people I’d like to share this with and the only person I could think of was my Goong-Goong. As I sliced the freshly baked bread, covered it with a liberal first taste of pâté and bit into it, I closed my eyes and wished that I could have shared it with my Goong-Goong. I can’t help but feel that he would’ve loved it – I would’ve gladly let him steal as much of it as he wanted. 1. To prepare your chicken livers use a knife to trim and remove the sinew – this is all of the yellow/green bits surrounding the pink liver. Place them in a bowl, cover them with a milk and refrigerate whilst you prepare the rest of the ingredients. 2. Heat the olive oil in a large pan over a medium-high heat. 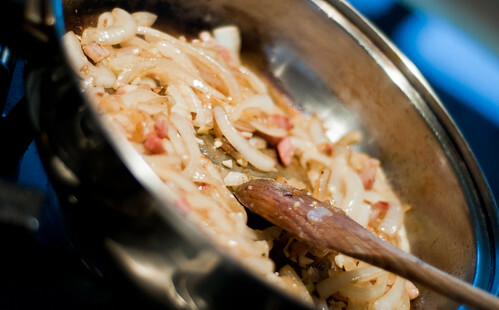 Saute the onion, bacon lardons and garlic with a wooden spoon until the onion caramelises. 3. Add the brandy and water, scraping with the wooden spoon to deglaze the pan. It will bubble furiously then begin to solidify again, so work quickly. Pour everything into a bowl and set aside. If you have anything stuck to the bottom of the pan, I find it quite good to add a little water to the pan, basically deglazing it again. Pour the dirty water away and give it a quick wipe clean. 4. 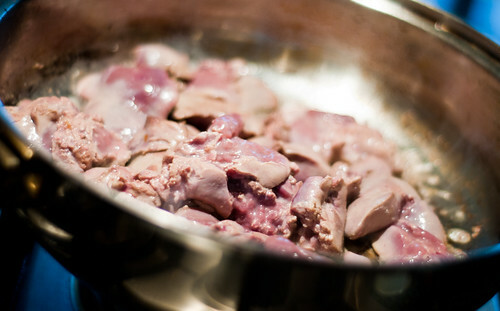 Drain the chicken livers and pat dry with a paper towel. Turn the heat back to medium-high and add the rest of the olive oil. When hot add the chicken livers and fry quickly, roughly 2-3 mins per side. You want them slightly browned but still pink inside. Add to the onion mixture and season well with salt and pepper. 5. Return the pan to the heat and add the vinegar to deglaze the pan again, then add to the livers. You’ll have to scrape the bottom of the pan to make sure you get everything. 6. Pour the entire thing into a suitable container, add the chopped chilled butter, and blitz with a hand blender until it resembles a liver smoothie (pleasant, I know, aren’t you glad I didn’t take photos of this part). Pour the entire thing into a fine sieve and force it through with a wooden spoon into a bowl – this’ll give the pâté a beautiful creamy texture. 7. 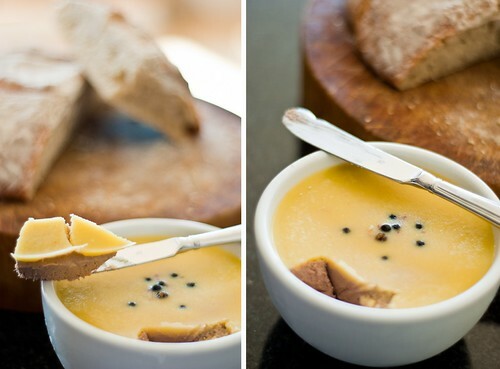 Smooth the pâté into the ramekins or small bowls and set aside. 8. To make the clarified butter gently melt the remaining butter over a low heat. Skim the whey proteins (the white foam/froth) from the top with a spoon. When there is no foam left and the butter has stopped bubbling, remove it from the heat and strain through cheesecloth to remove the milk solids. Clarified butter will help to preserve the pâté for longer and will have a beautifully clear appearance, so it is worth doing, but honestly when I made mine I didn’t bother (as you can probably tell from the photos) as it was going to be eaten up fairly quickly! I would recommend it, however. 9. Pour a thin layer of the clarified butter on top of the prepared pâté ramekins/bowls and make sure it covers all of the pâté evenly. Top with a few peppercorns. 10. 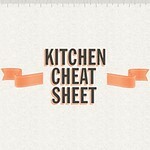 Cover the pâté with clingfilm and place into the fridge to set. 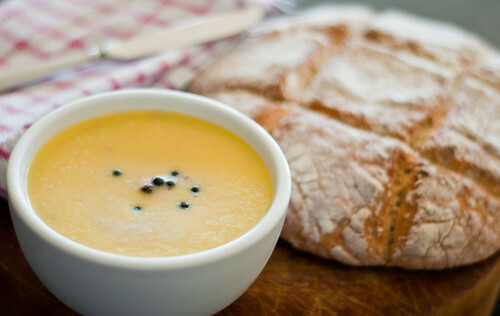 Eat within a week and be sure to serve it with fresh crusty bread. Such a sweet story. Darn it, you made me teary. 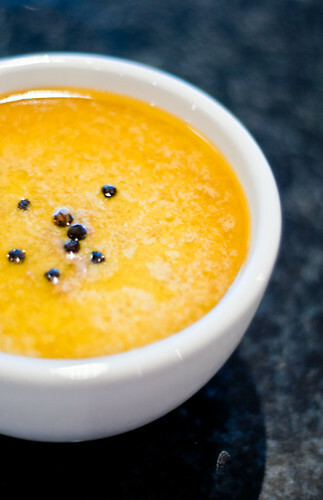 I bet your Goong-goong would love your pate. Having just lost my grandfather a few months ago, I can certainly relate to those memories. Once in a while, something I eat (especially ice cream), just brings me to tears. A beautiful post and, of course, these pictures are wonderful. Jackie – This post has me nearly in tears. It’s a lovely and heartwarming tribute to your grandfather. I lost my maternal grandmother last October to cancer, and it was so hard for our entire family. She was the glue that held us together, and everything she did and cooked was done w/ a great amount of love. Your grandfather is definitely smiling down and enjoying this dish with you. What a touching, wonderful story, Jackie. You made me teary-eyed, too just like Christine. I love love liver pâté. This will be perfect for Caldereta, a Filipino stew I make usually with store-bought liver pâté. I’m definitely going to try this. Thank you, sweetie. What a beautiful story. I love how food can bring memories back to the surface. I’m starting to see where your love of cooking comes from. Oh, Jackie, now I know what you mean about your post taking a sad turn. Grandparents are truly special and I was also lucky to have big love for my own. I lost my paternal grandmother 5 years ago, a couple of days after returning from my honeymoon. Still jetlagged, I immediately flew to the Philippines and missed saying goodbye to her by less than 24 hours. Then one year ago, I lost my grandfather, probably the most loved man I know. I think all of my cousins and I can relate to the special bond you had with your grandfather. Though it’s still a sad feeling, at least we have our memories to sustain us, right? :-) Thanks for sharing something so personal with us. Love the picture of the two of you. Incidentally, paté is one of my favorite foods. When I saw you preview the 3rd picture in your Facebook page, I couldn’t wait to see the finished product. You didn’t disappoint! You’ve now encouraged me to try making paté myself! Holy crap that paté look soooo good! Oh, Jackie, how food can connect and call memories to mind! What a sweet Goong-Goong – take comfort in those moments, in the paté’s in life! Sweet girl…what a beautiful post for me to read during this time of mourning. 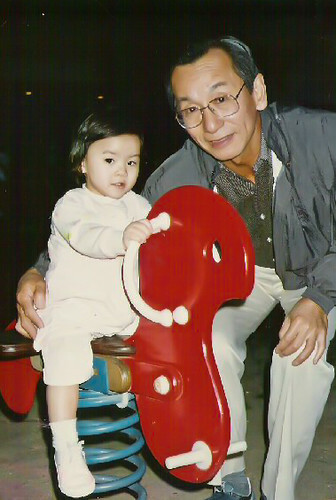 Your goong-goong was a special man, and I know he is so proud of you. Thank you for sharing yourself and your creative eats with me week after week. This is a place where I come to feel love and inspiration. You are a blessing. Have a wonderful Friday! A beautifully written post and now I’m flooded with memories of my grandmother and me sharing tea and confections. Thanks for making me tear up. What a poignant yet uplifting story – the memory of food can be so strong, cant’ it? Glad that you reminisce about your Goong-Goong in such a lovely way. PS: Your pate looks so good, love the buttery yellow layer.